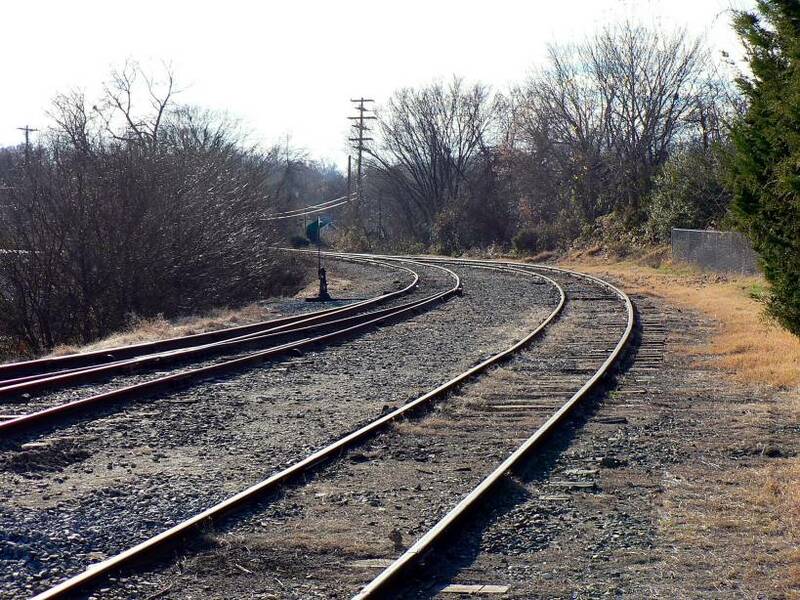 The first railroad in Gaston County, the Carolina Central Railway, began serving Mount Holly in 1860 nineteen years before the city was incorporated in 1879. The line, which runs from Bostic to Monroe, eventually became part of the Seaboard Air Line (SAL) rail network. 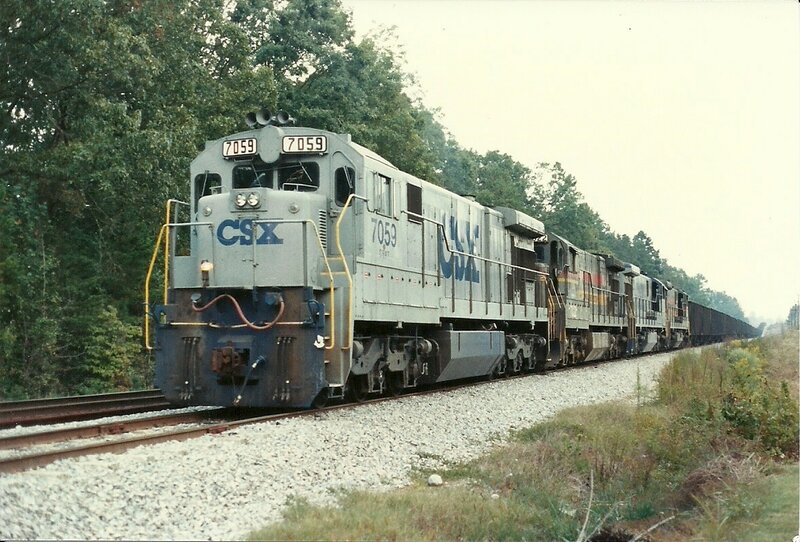 In 1967, the SAL merged with the Atlantic Coast Line (ACL) to form the Seaboard Coast Line which operated until 1986 before it disappeared into the large melting pot of fallen flag railroads that became CSX. In 1911, construction began on a second railroad known as the Piedmont Traction Company which was the predecessor to the Piedmont and Northern Railway that was formed in 1914. 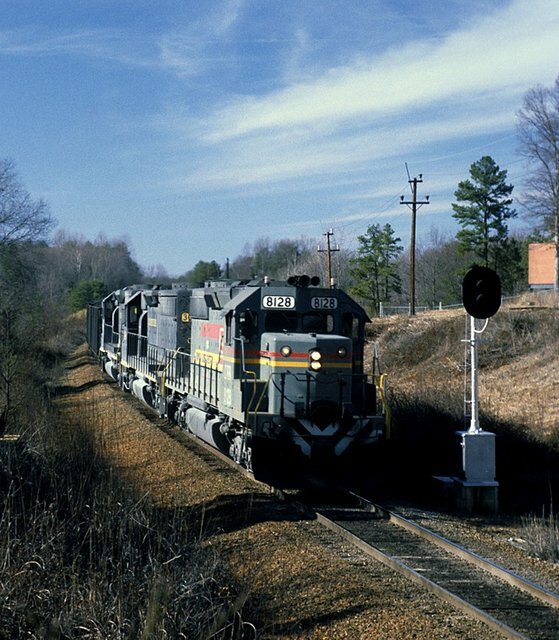 On May 20, 1912 it made its first run from Charlotte to Gastonia and operated until 1969 when it was absorbed by the SCL. Virtually all of the former P&N trackage still exists today with most owned by CSX. 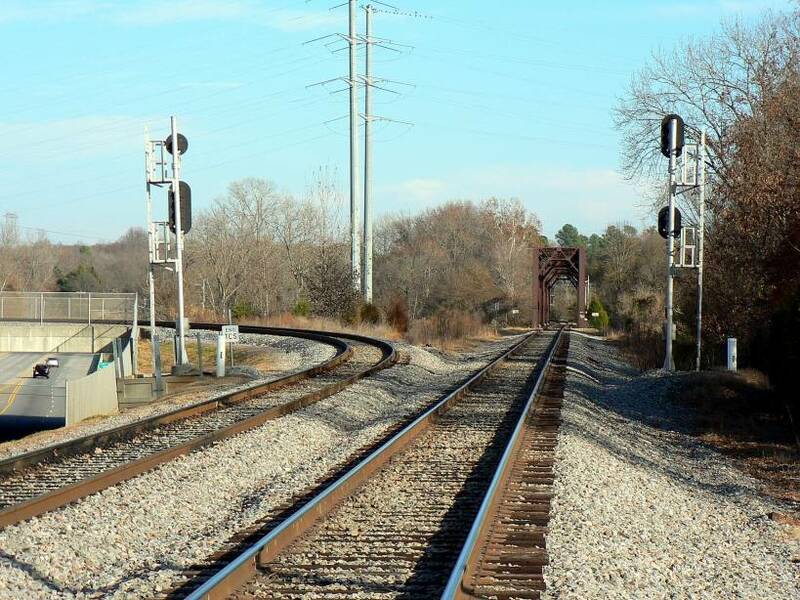 The line from Mount Holly to Gastonia is operated by a "new" Piedmont and Northern Railroad (Patriot Rail) and this track is owned by the North Carolina Department of Transportation (NCDOT). 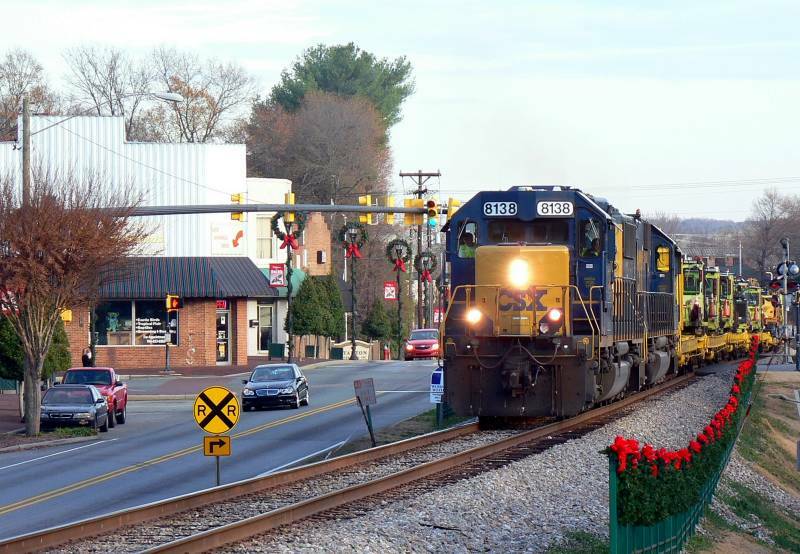 For more about Mount Holly, click the Piedmont and Northern link embedded in the paragraph above or navigate from the WVNC Rails North Carolina menu. An image that captures both the Seaboard Air Line depot (foreground) and the Piedmont and Northern depot (background) in the same frame. The photo is undated and clues sparse. The boxcar at the P&N depot has lettering typical of the late 1940s-early 1950s and the P&N still appears to be electrified which would date it to at least circa 1950. Image courtesy of Mount Holly Historical Society. 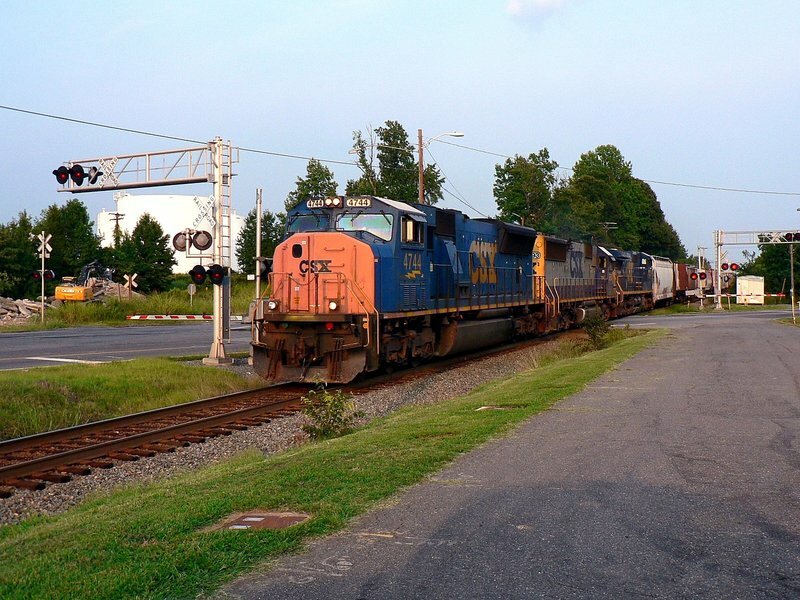 Until late into the 20th century, the majority of rail commerce in the Mount Holly area was not unlike any number of small towns and cities in the North Carolina Piedmont region---it centered on the textile industry. 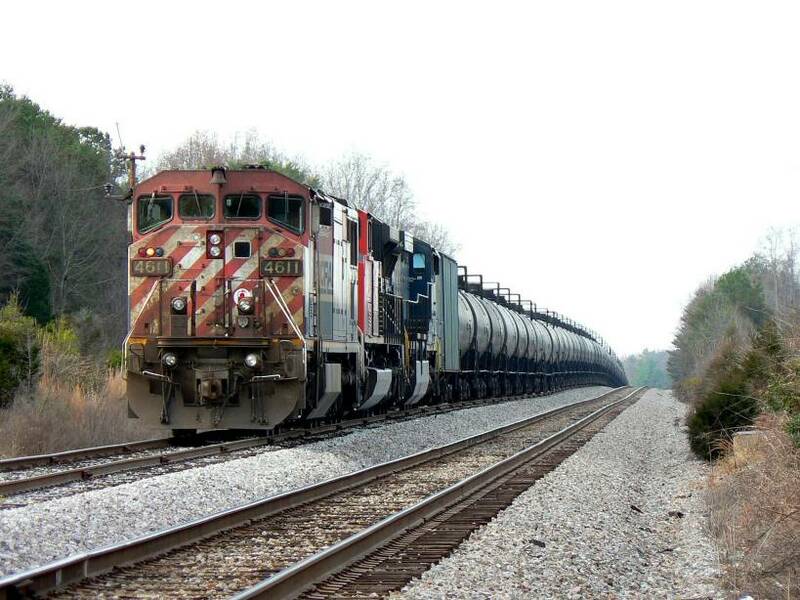 With the rapid decline of the business during the past twenty years, the tank car has now replaced the boxcar as most of the industry today is fuel and chemical based. 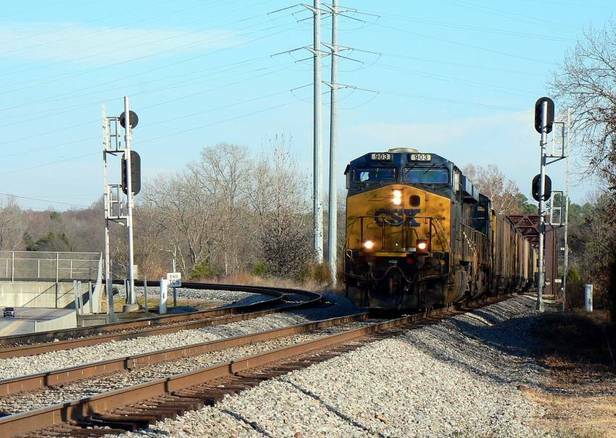 Although not specific to the town itself, Mount Holly is also the rail junction for coal traffic to the Riverbend (pending shutdown) and Marshall Steam Station power plants located on the Catawba basin Mountain Island Lake and Lake Norman respectively. 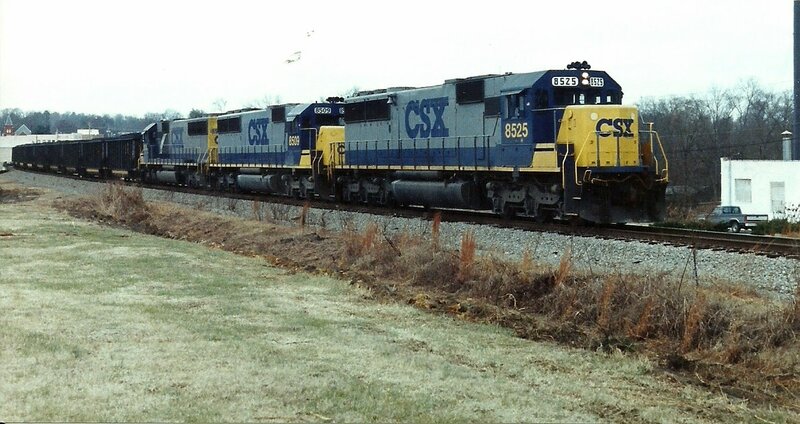 The early CSX era circa 1990 through Mount Holly was marked by substantially high traffic volume. In addition to scheduled manifest trains, bulk freight such as grain traversed the route. But the highest concentration of traffic was coal and coal empties. The Charlotte Sub funneled coal traffic to the Deep South as well as the power plants at Riverbend and Marshall. 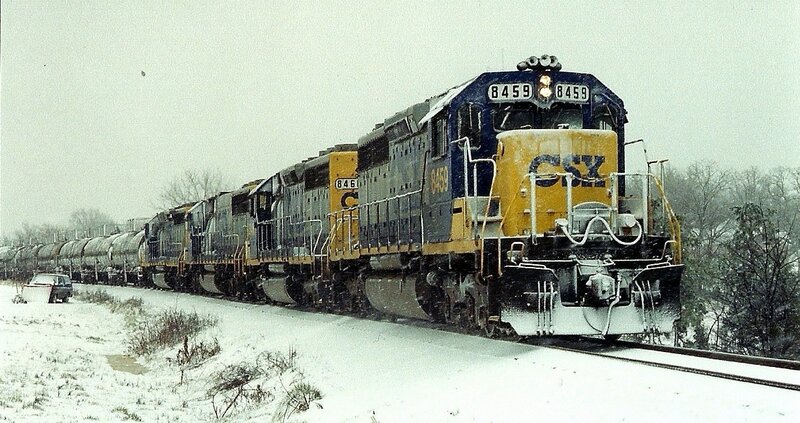 A variety of locomotive types and paint renditions were also common still wearing the colors of CSX predecessors. This freelance map focuses on the rail center and junctions at Mount Holly. 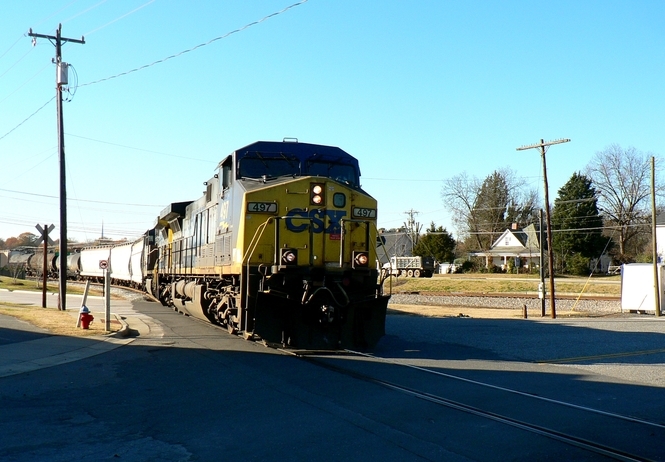 The CSX mainline is part of the Charlotte Subdivision that runs between Monroe and Bostic. 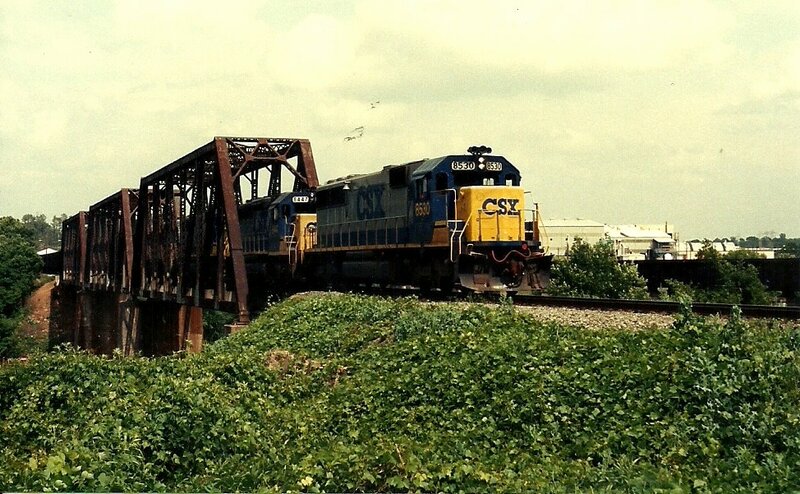 Diverging from the main is the CSX Terrell Sub which roughly parallels the Catawba River and terminates at the Marshall Steam Station at Terrell. 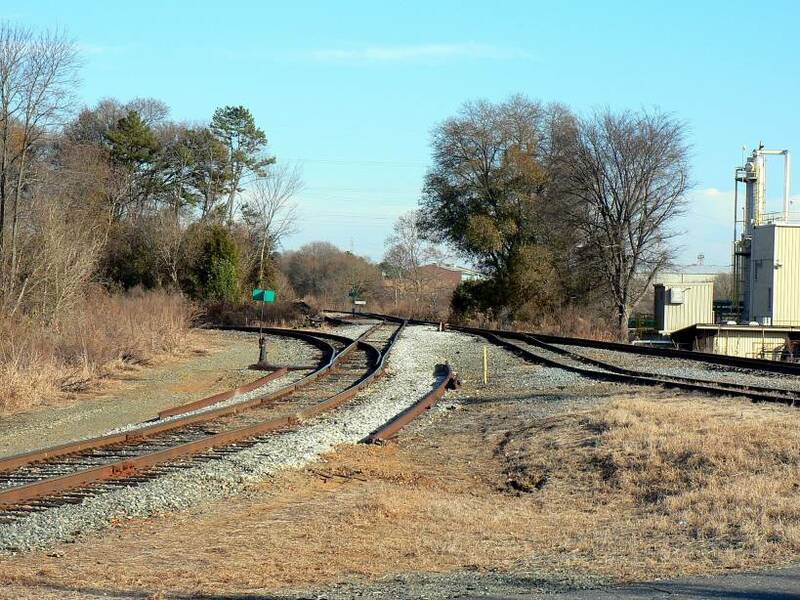 The old Piedmont and Northern trackage is still intact but is under separate ownership. 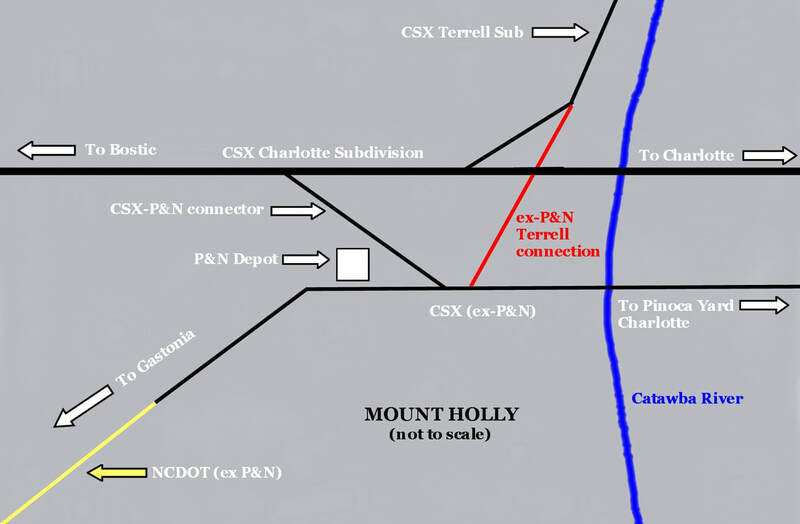 CSX owns the line from Mount Holly east to Charlotte where it operationally terminates within Pinoca Yard. North Carolina Department of Transportation (NCDOT) claims the remaining section from Mount Holly to Gastonia. Of note, this section was dormant until recently revived by a "new" Piedmont and Northern (Patriot Rail) that serves a few customers and interchanges with CSX at Mount Holly. A 2002 Google Earth snapshot revealing the new Terrell Sub connection. The original junction to the P&N is now removed and the realignment of track is in evidence. 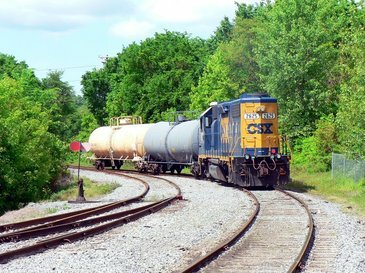 During the transitory years of the Piedmont and Northern into its absorbing by the Seaboard Coast Line and continuing to CSX today, the track connections at Mount Holly were modified. 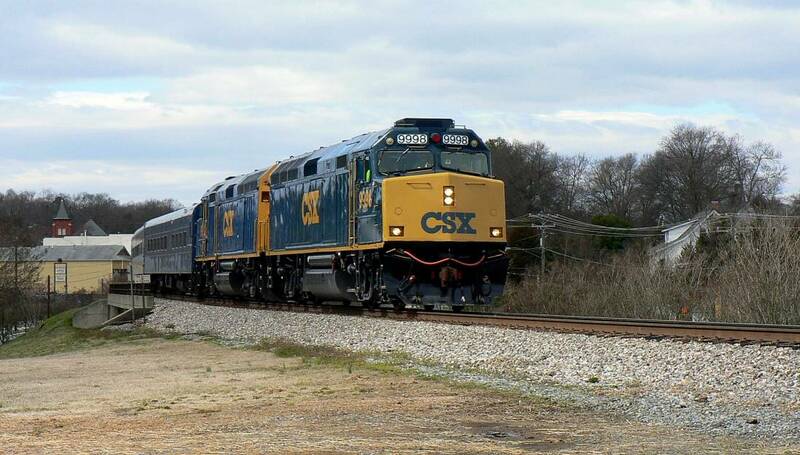 Most notable was the Terrell connection that was removed from the P&N and relocated on the Seaboard main which is now the CSX Charlotte Subdivision main. In years past, there was also no connection from the Seaboard to the P&N at this location. Mount Holly is an interesting location to see trains but they are few in number. There are three scheduled manifest freights that pass through but, unfortunately, two of these run at night if on schedule. 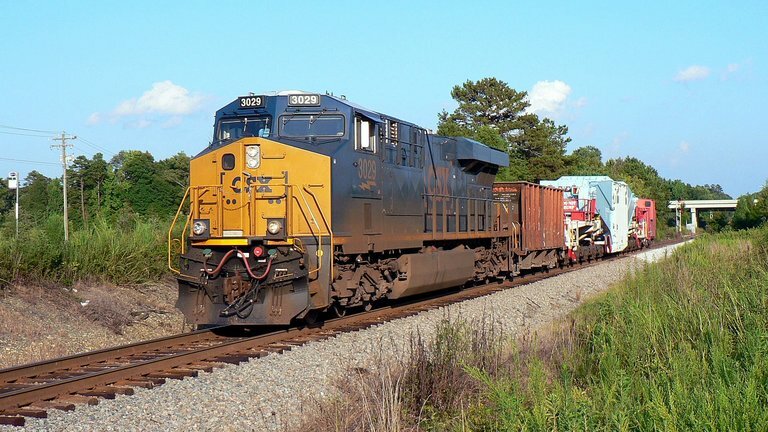 In addition, there is also a Charlotte-Mount Holly-Lincolnton turn that operates on weekdays and locals working industries in the area that originate from Pinoca Yard in Charlotte. 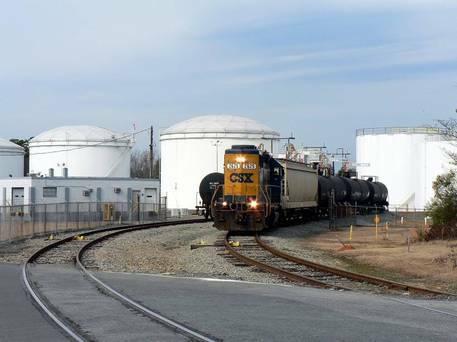 At least twice a month, there is an ethanol train that terminates at the Transflo facility and of course this also includes the departure of the empties. These trains will occasionally run with foreign road power. Finally, grain trains will sporadically run the Charlotte Sub as well. The most significant impact on rail traffic at Mount Holly has been the decline in the domestic coal market. Just a few short years ago, an average of eight coal trains (loads and empties) passed through daily or diverged to and from the Terrell Sub. Realistically, the future is not promising for the Terrell Subdivision. The closure of the Riverbend power plant in early 2013 and reductions at Marshall do not bode well for rail traffic. Marshall has also been targeted for shutdown although no specific date is known as of this writing. Currently, coal trains are sparse numbering only a hand full a week. In summary, patience is a must to railfan this area but if tied in with other ventures in the vicinity, it can be worthwhile. Be sure to explore the town of Mount Holly itself. It is a suburb of Charlotte that still retains small town charm. 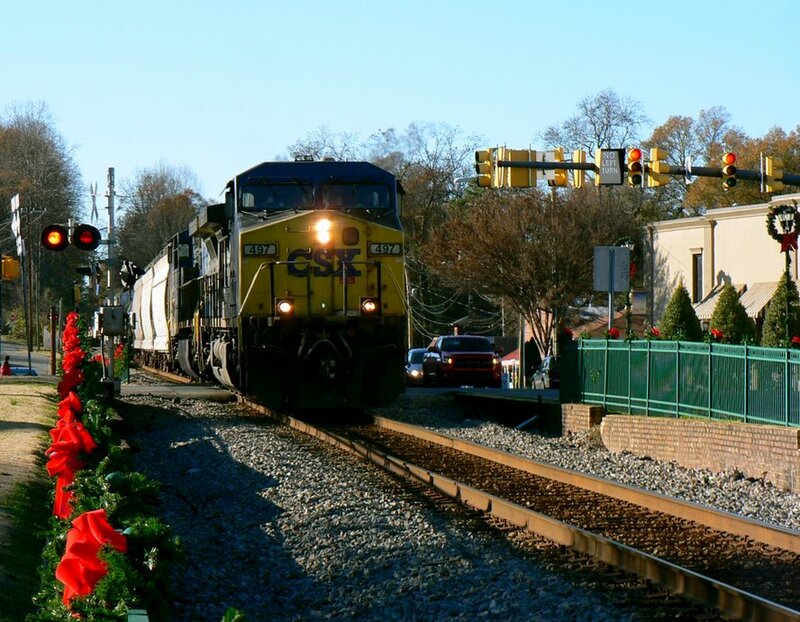 Work train W049 runs west through a Mount Holly adorned in Christmas decorations. SD40-2 #8138 and a SD50-2 mate lead the way on the late afternoon of December 8, 2012. Dan Robie 2012. 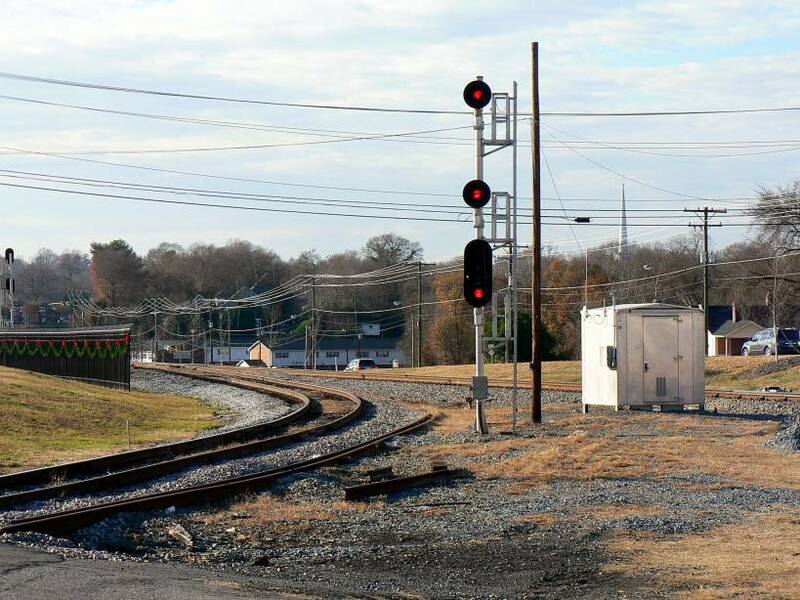 In the period since this page was initially published in 2012, rail traffic has further declined at Mount Holly with the most significant changes occurring during 2015. 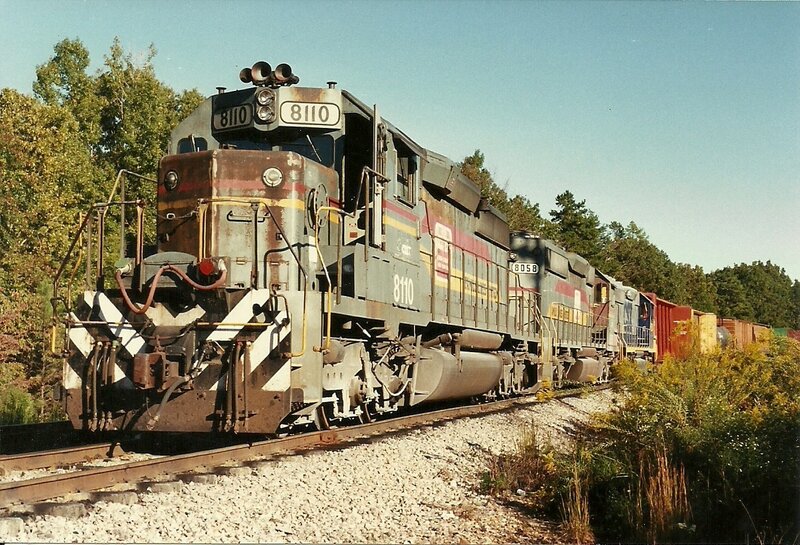 By summer, manifest trains Q698 (Cincinnati-Hamlet) and Q699 (Hamlet-Cincinnati) had been abolished. Coal trains no longer run the Terrell Sub to Plant Marshall as of this writing with the contract recently awarded to Norfolk Southern. 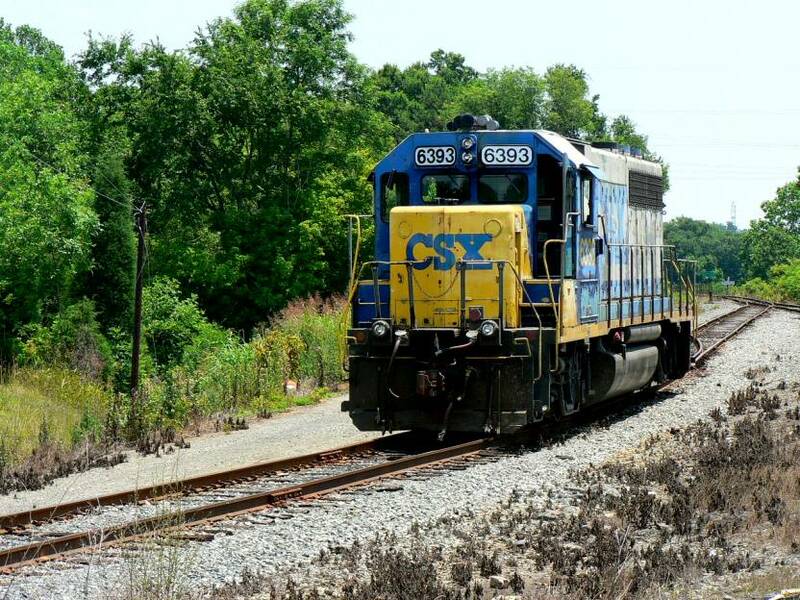 During October 2015, CSX discontinued all run through traffic to and from the former Clinchfield. 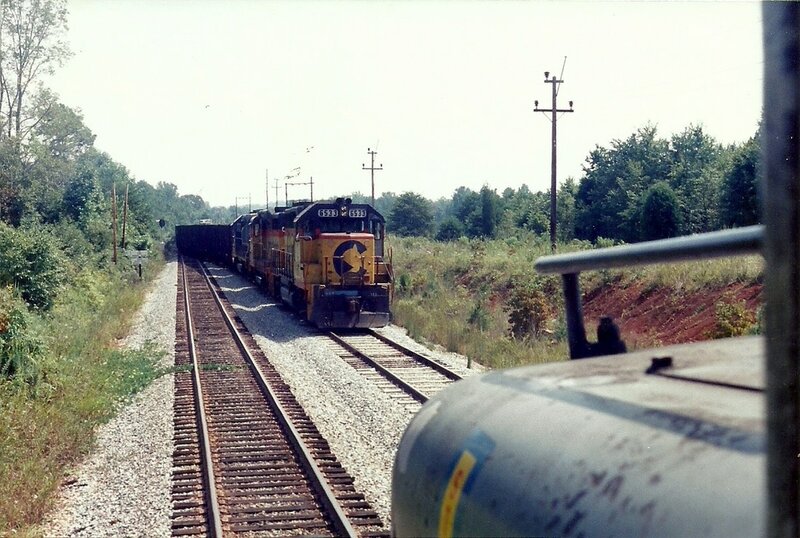 This in effect abolished coal traffic--with one exception---and grain traffic---also with one exception---passing through Mount Holly on the Charlotte Sub. Remaining regular traffic through Mount Holly as of this writing is limited to the F793 local switcher, and Q696/Q697 which are now truncated runs. 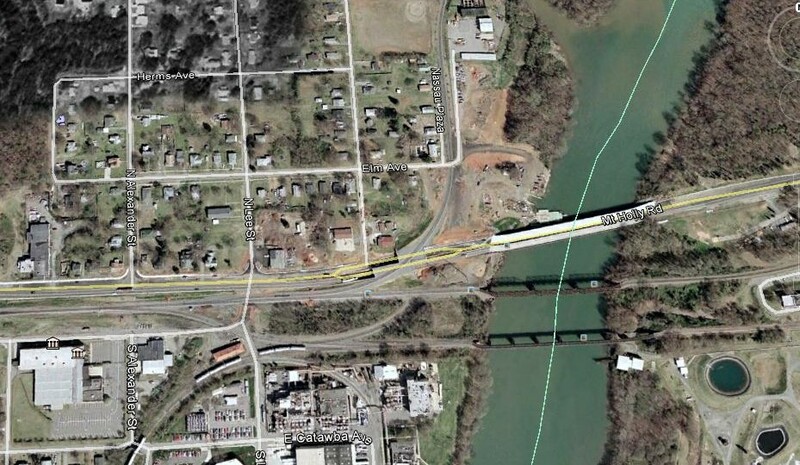 Russell, KY has been replaced as the originating and terminating point for these trains by Kingsport, TN. The ethanol trains will still run to TRANSFLO but will operate the Charlotte Sub from the Monroe Sub instead of the former Clinchfield. The only other bulk trains that will operate as needed are coal trains to Brice and grain to Case Farms at Shelby. Beginning in 2016, trains will return to the the closed Riverbend power plant for ash clean up. This is projected to be in effect for four years.